There are things that are true and then there is the truth about things. Jesus gives us a category for the truth that genuinely sets free and a frame of reference for walking through this broken world of half truths and illusions of grandeur. What does it mean to draw near to God? There is a reason why the good news isn’t good to everyone. In fact, in and of ourselves we don’t know what to do with actual goodness. When confronted with Jesus we will respond fully aware of our wretchedness. The question is: How will we respond? 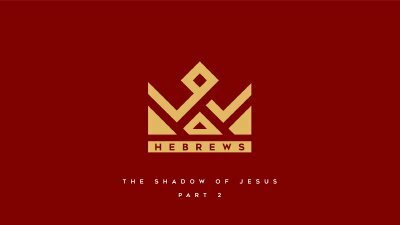 Hebrews continues to help us understand how Jesus is the substance behind the shadow. He has a better priesthood, an eternal one, that descended not from the sin-stained Levitical Priesthood, but from a fatherless line in the order of Melchizedek. The writer to the Hebrews continues His wake up call by reminding them of the reality that there are those who try to fake Christianity while continuing to fall back into Judaism. We, too, must beware lest we fall prey to the counterfeit gospels of our time.  We all know that it is possible to hear something without really hearing it. We know that scripture teaches that it is significant that we would have “ears to hear” the message of Jesus. The writer of Hebrews gives us a sharp rebuke for our dull hearing as well as significant motivation to perk up and pay closer attention. Jesus is better. Like the very first reader of this letter, we live in a world that simply does not believe that to be true. Although the context may be different the writer knows that in order to dwell in a world like this we must know God and our place in His story. The writer of Hebrews leaves us with a Christianity that is constantly in pursuit of Christ and what it looks like to believe that He is better and that He is enough. Nothing could bring about change in your life more than prayer and obedience to God. In this text we will explore how the life and ministry of Christ should effect our view of these common elements in the Christian life. We need them to be more than mere duty. Under the Old Covenant, a High Priest mediated between God and Israel for the nation’s sins. In the New Covenant, Jesus Christ, our High Priest, has now provided direct access to God the Father by His Spirit through His death and resurrection. In this text, we will examine the severity of sin, the inadequacy of the Old Covenant, and if God really has a specific role for each of us on His mission. The writer of Hebrews introduces Jesus as the “great high priest”. He is in fact THE mediator between God and man. Our Christianity needs a healthy robust view of a resurrected, living, reigning Jesus who is interceding for us right now in this very moment. Do you have a “right now” view of Jesus Christ to go along with the past and future? There can be no real rest here in this life without the promise and assurance of ultimate rest in the next. In order to have rest here we are to “strive” for the rest to come when we will finally be in the presence of God in the fulness of joy.